Heather Karamanos and William Duffy are getting married 24 July 2005 at Edgefield Manor in Troutdale, Oregon. 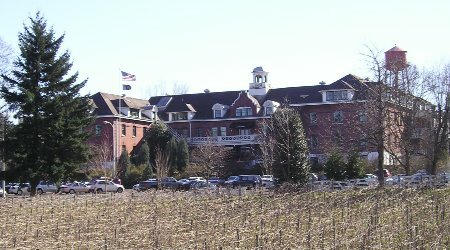 In addition to the facilities at the wedding site, there are numerous hotels and restaurants located in Troutdale close to the Edgefield Manor. A block of rooms have been reserved at the following locations (reference the Karamanos/Duffy wedding) listed below. However, it should be noted that the blocks will be held until six weeks prior to the wedding (or June 11th). Shuttle services to and from the wedding site for both Best Western Inn & Suites and Holiday Inn Express are available upon request.